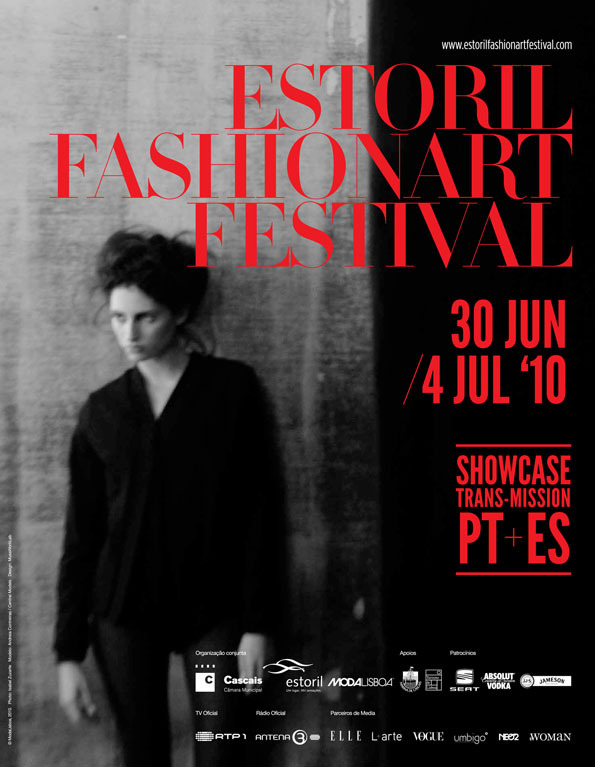 Ferrater Studio: Ferrater Studio in "Estoril FashionArt Festival"
The next upcoming days between the 30th of June and the 4th of July, the first edition of the Estoril FashionArt Festival will be held along several spaces of the Estoril-Cascais axis and will roam through the multiple visions born from the merging of Fashion with the Creative Industries unequivocally associated to it. With its transmission secured along twenty happenings, the Festival incorporates exhibitions, fashion shows and debates with names carefully summoned from the ranks of Fashion, Photography, Publishing, Cinema, Video Art, Public Art and Food Design. Every Festival's edition will have the participation of a guest country and the contribution of its creative universe. In this prime edition Spain is a natural choice for its geographical, commercial and affective relation but it also rises as an urgent need to schedule Portugal and Spain's agenda with the cultural and artistic exchange between both countries. Daniel Riera, David Urbano, Eugenio Recuenco and José Manuel Ferrater. 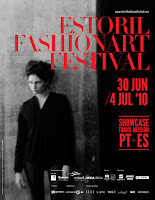 These are the names that make up the spanish photography representation at Estoril FashionArt Festival and were selected for its artistic contribution lent to Fashion and to Photography in Spain. The images presented in the exhibition Fashion Photography (ES) also prove the language diversity that photographic expression allows. With a scheduled prémiere the 1st of July (7:00PM, previous Fire Department House) the opening will have the artists presence. The show remains open to the public from July the 2nd to the 11th, from 1:00 PM to 9:00 PM.